LÄSSIG’s multi-purpose, sustainably produced swaddle & burp cloth 'Light Grey' is breathable, easy-to-care-for, skin-friendly and tested for harmful substances. 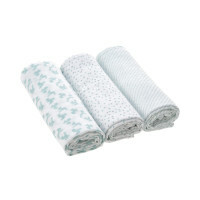 It can be used as a nursing blanket or for swaddling. 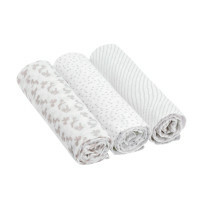 Product information "Heavenly Soft Swaddle & Burp Blanket L, Lela Light Grey"